In this chapter an explanation will be given as to how you can add video’s to your channel. Click on the thumbnail of the channel you wish to add video’s to. In the next screen click ‘Add to Channel’. Wait for the ‘Add Media To Channel’ to load. 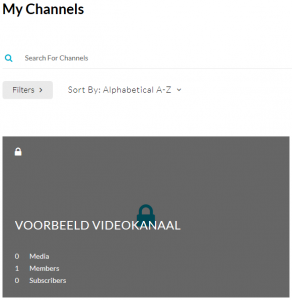 Select the video’s you wish to add to your channel by ticking the boxes in front of each video. 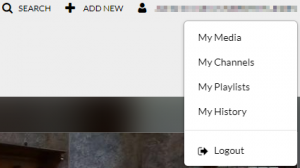 Click the ‘Publish’-button to add the selected video’s to your channel. When publishing is successful a green information-bar appears (‘All media was published successfully’).